Your rights are enhanced by the General Data Protection Regulations (GDPR). Posib welcomes the introduction of GDPR because it enhances data protection legislation and gives individuals the absolute right to control how their data is collected and used. The Data Protection Act and the Privacy and Electronic Communications Regulations (PECR) give you specific privacy rights in relation to electronic communications. For more information about data protection, please visit https://ico.org.uk/. 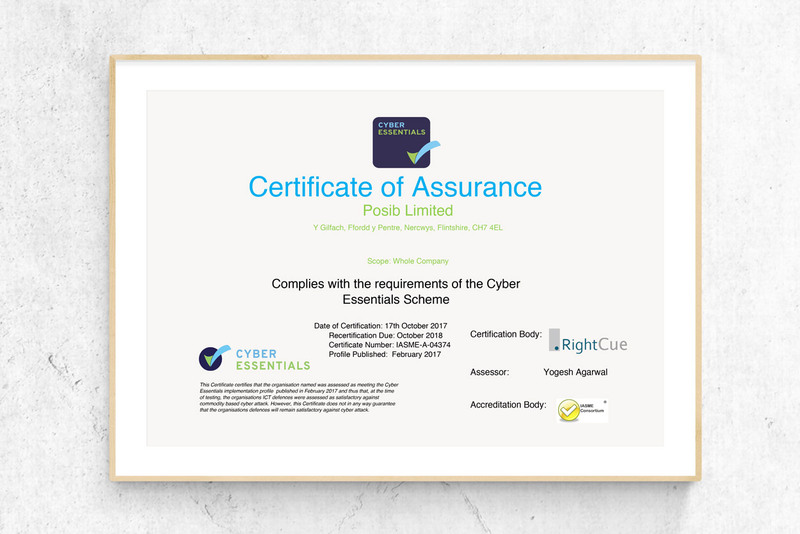 Posib has achieved Cyber Essentials. This is a government-backed scheme, supported by industry to help organisations protect themselves against common cyber attacks. Data protection and security underpins what Posib does. Security and confidentiality is paramount and our IT systems fully comply with FIPS140-2 and ISO27001. Posib’s website has layered security through a signed server certificate. Hypertext Transfer Protocol Secure (https) is a combination of the Hypertext Transfer Protocol (HTTP) with the Secure Socket Layer (SSL)/Transport Layer Security (TLS) protocol. TLS is an authentication and security protocol widely implemented in browsers and Web servers. This means that transactions through our website are protected by 2048-bit encryption. Our data systems are encrypted and held off-site in a dedicated data storage facility which has 24/7 security. This gives you peace of mind that your data is not compromised and it is held safely, securely and confidentially. It is thoroughly backed up throughout the day and we have a full disaster recovery plan so that we can be up and running again within hours of any emergency.